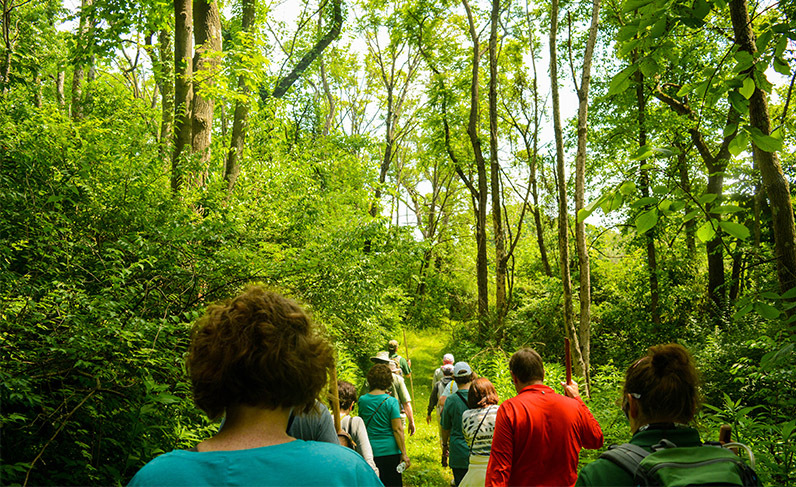 Travel through time on a 2-mile hike through the woods and fields surrounding Meadowcroft Rockshelter, the oldest site of human habitation in North America. Along the way, we’ll learn about the flora and fauna of the area as it relates to the survival techniques of prehistoric people eking out an existence in the tri-state area hundreds, and even thousands of years ago. We will pass a local beaver dam and briefly visit a recreated 16th century Monongahela Indian where participants will have the opportunity to try using the ancient atlatl. We will end the hike at the Visitors Center, and then embark on a 40-minute tour of the famous Rockshelter. Museum admission is included in the cost of the outing, so plan on staying after the program to visit the rest of the museum’s exhibits at your leisure until 5 p.m. Please register for this program through Venture Outdoors here.